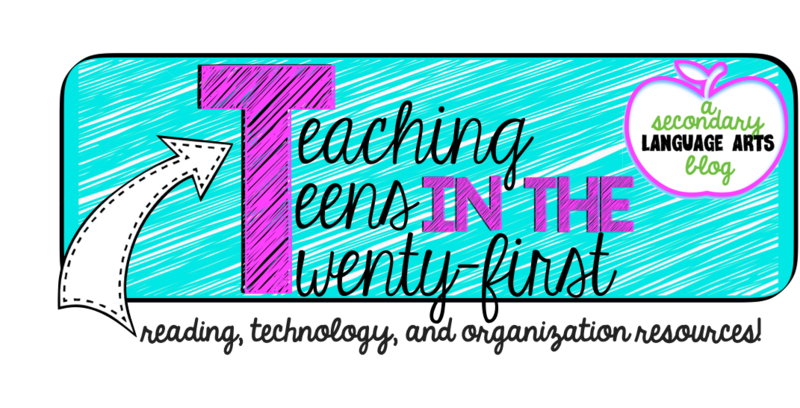 Teaching Teens in the 21st: Classroom Through the Years...and the Ice Bucket Challenge. 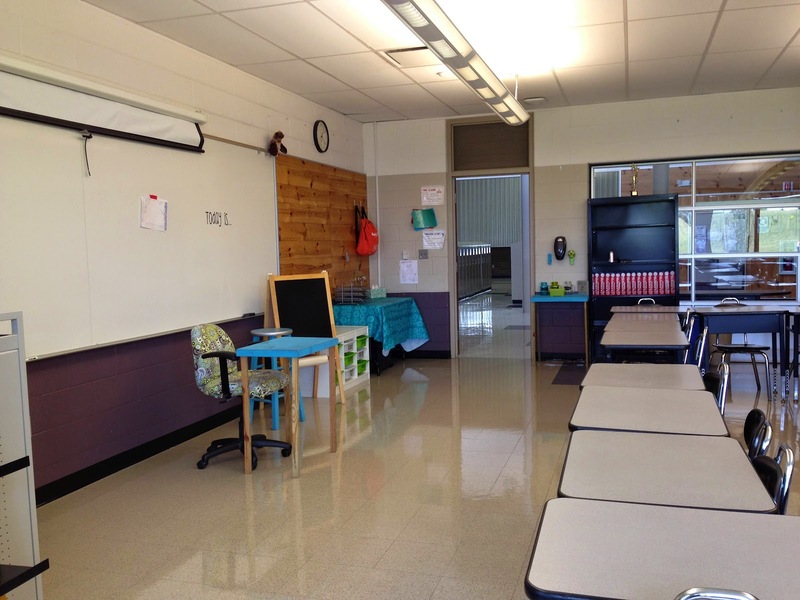 Classroom Through the Years...and the Ice Bucket Challenge. 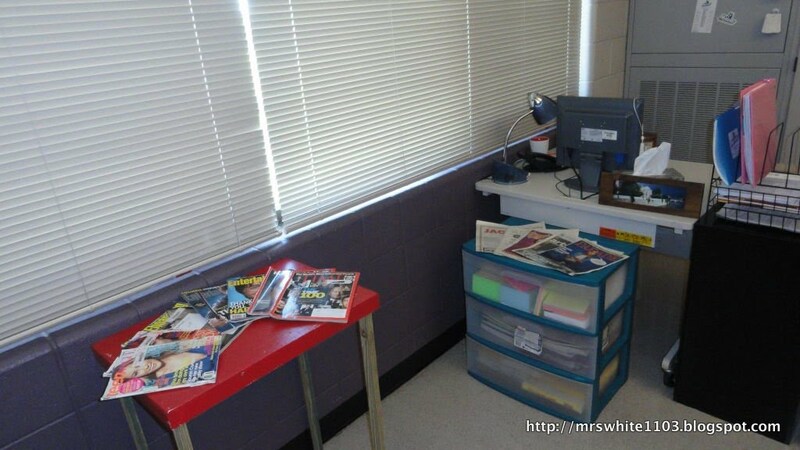 Today's post will be a photo tour of my classrooms through the years! 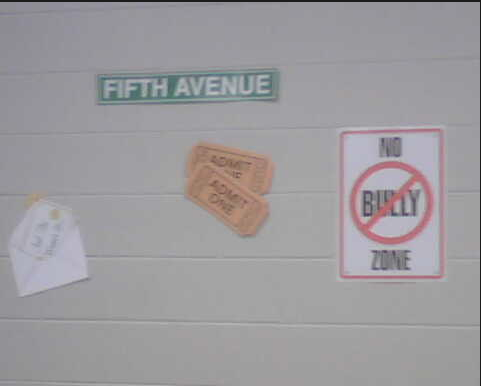 My first two years at my school, I taught Drama as an exploratory class to grades 6-8. My classroom was the actual stage, which you can imagine was terrible in terms of sound. 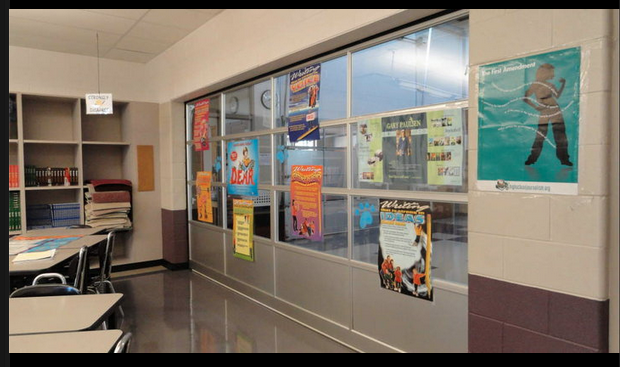 I was always having to shout to be heard because the school was fairly new and the ceiling wasn't insulated yet. If it rained, the roof was metal, so you could hear absolutely NOTHING! 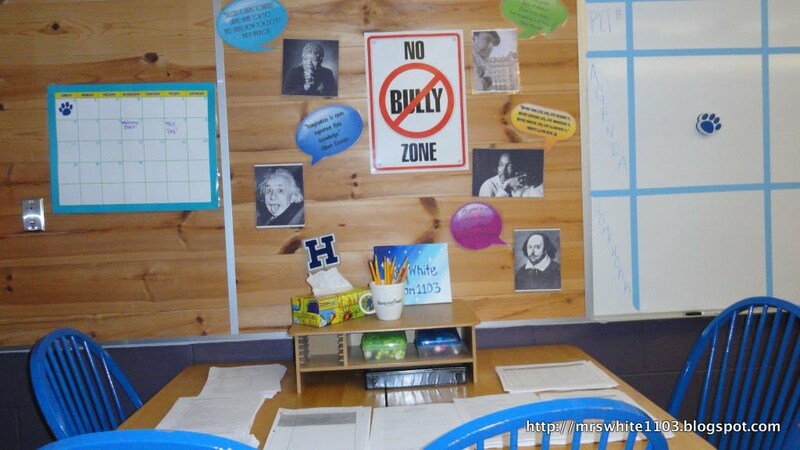 It was a difficult room to decorate, and there were no bulletin boards. It was hard to find pictures from this time, and it definitely speaks to how young I was! Also- there are no windows in this room, so the color is very muted and dim. This wasn't my camera, it was like this all the time! 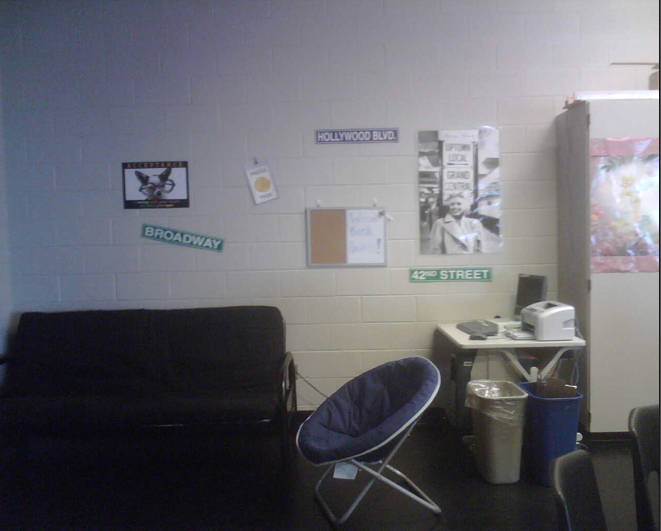 The good old futon (that is my best set piece I've ever had for drama. It has been a bed or a couch in almost every year in a show). You can also see my blue chair back in it's better days. It was unfortunately put out to pasture this year. 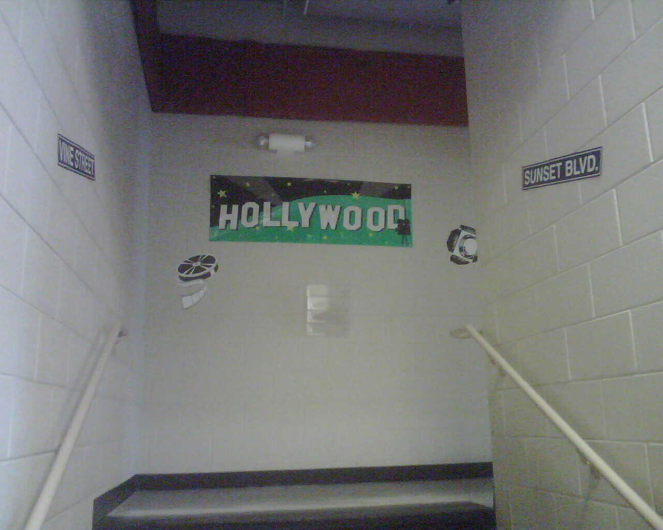 There was a hallway and stairs that students had to come in from the door. 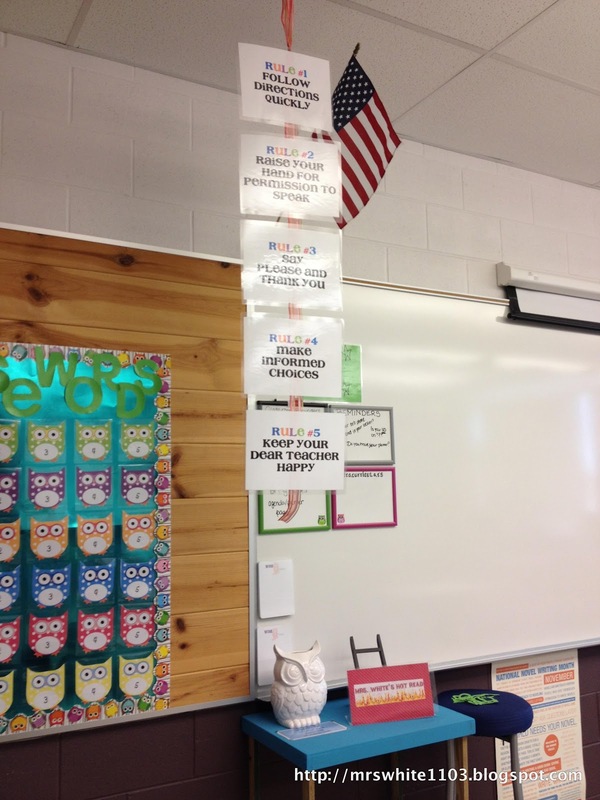 This was a nightmare if students were late, because it was locked, and I couldn't hear them. 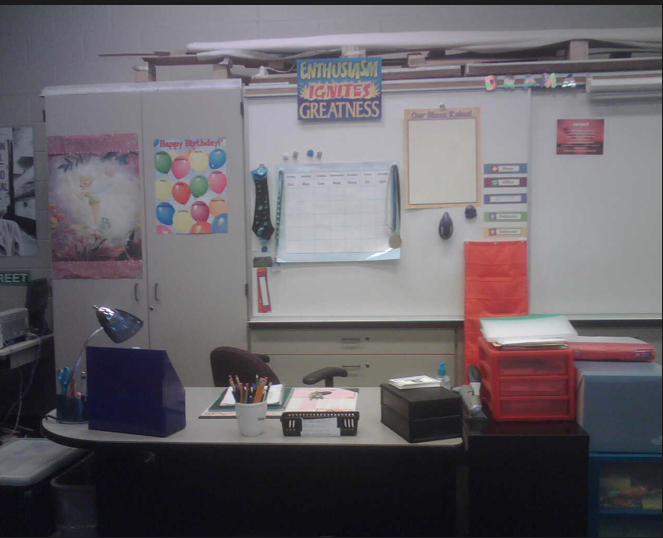 I can't find a single picture from my first year in my classroom, which is surprising (since I apparently like to photograph everything). This is back when I was hypersensitive about checklists! 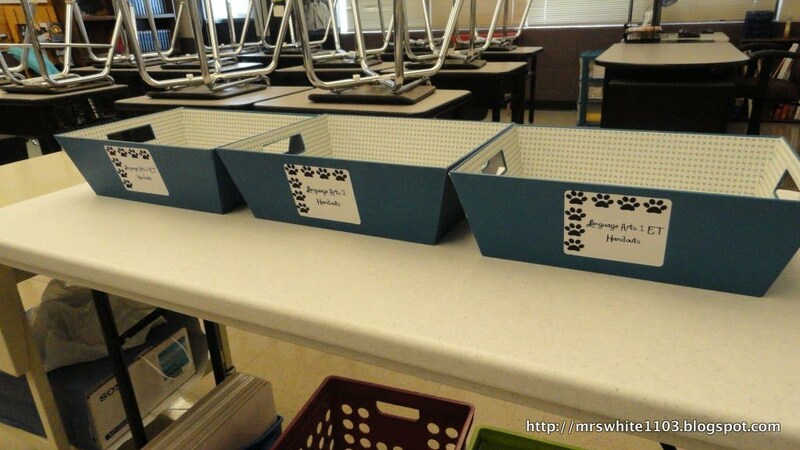 Students had to check in on a clipboard when they were late, check out on another clipboard when they went out of the room. Wow. I'm exhausted just thinking about it! I remember feeling guilty that I bought these posters and didn't use them! 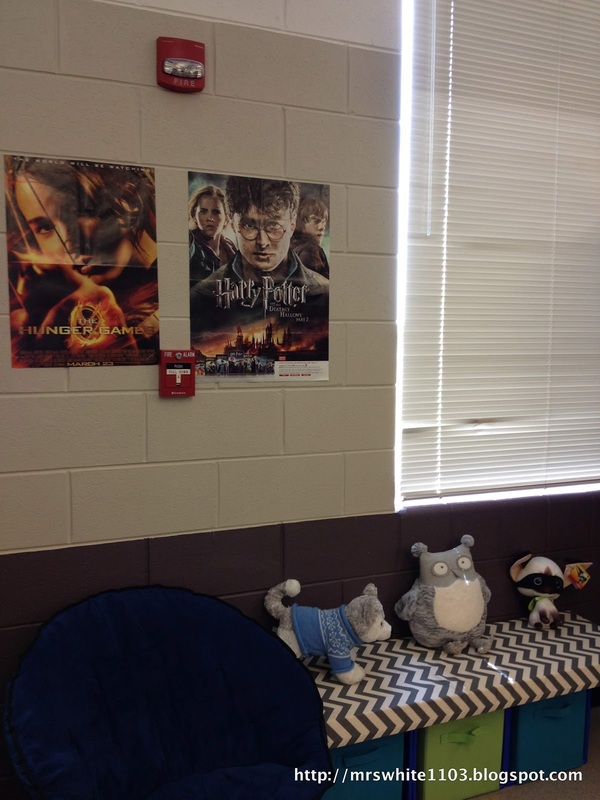 The beginnings of my "comfy" classroom vibe. That Marilyn poster will be with me forever! This is the year I went crazy at our local libraries used book sale and bought pretty much everything! I believe this was the last year for that table. The legs had pretty much collapsed in on themselves by the end of the year. Sometimes things just work. That painting, done by a student in 2010, will never not be in my room. I love it! 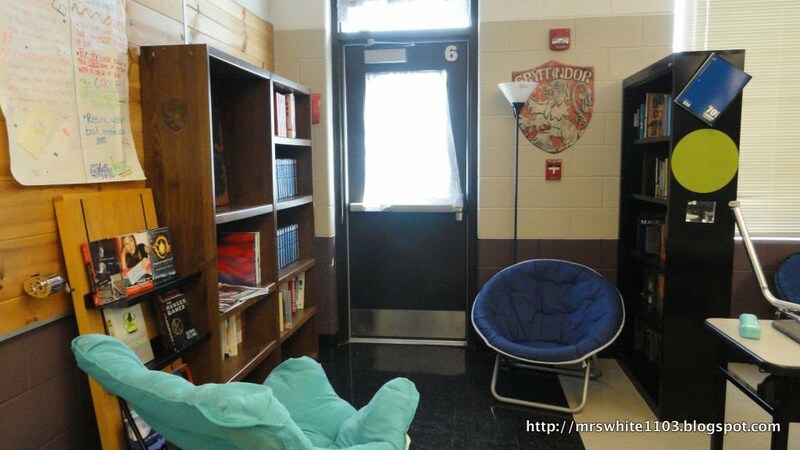 This was my third year in the room, and I was starting to "pack" it in more and more each year. 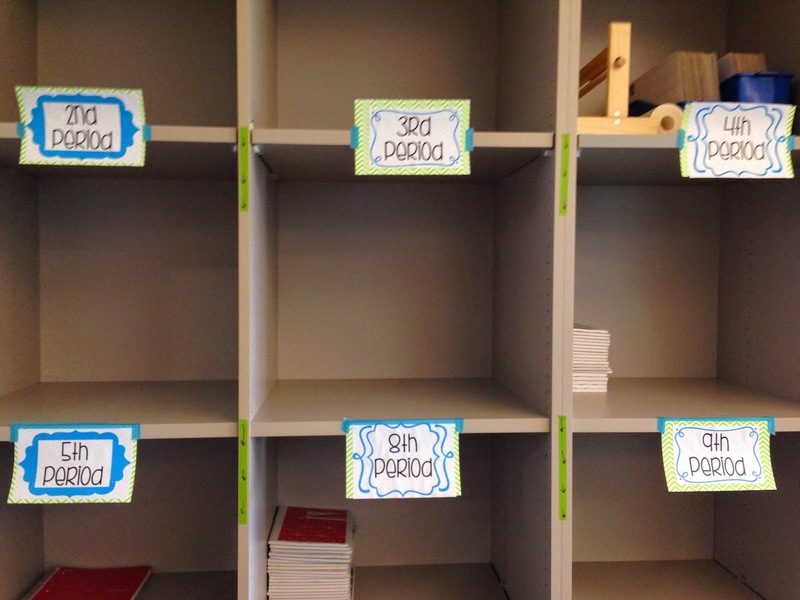 Student projects were overflowing from the top of the shelves, and behind the boards they were packed full! I still love how clean and neat the front of this room looks! Running Owl Count: 90 + all the ones hanging from the ceiling and peeking out around corners?? I'm tired of counting owls, lol. And who could forget these?? from one of my fave movies, Labyrinth! 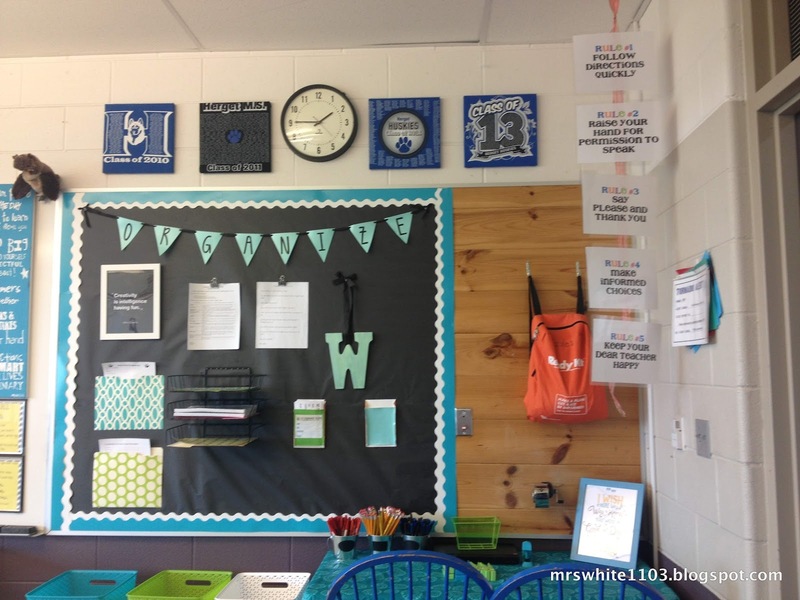 I'm sharing a link to last year's classroom tour for this one, as there were a lot of pictures, and I already had it organized. 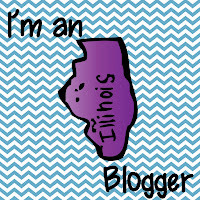 Also, if you already follow this blog, you've probably seen them all already! And this year. I've already shown you lots of pictures, but I'll go in order and try to give some details for everyone. 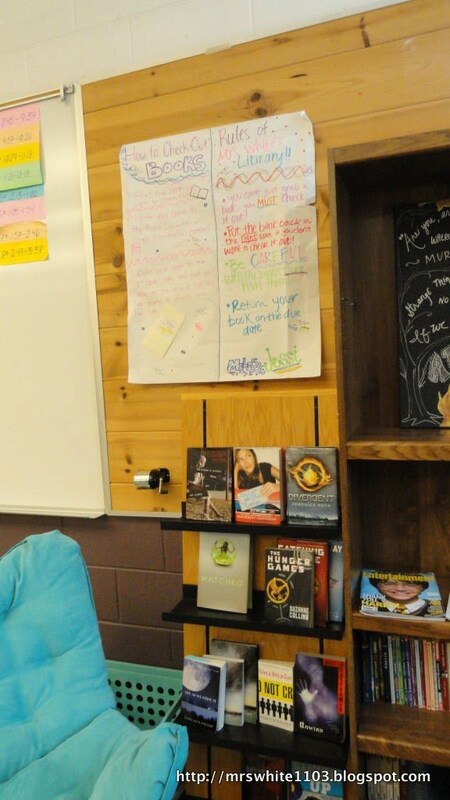 Classroom library and reading area. Pillows made with fabric from Hobby Lobby. Hanging lights from Target (Room Essentials) Throw, green lamp, and carpet from IKEA. 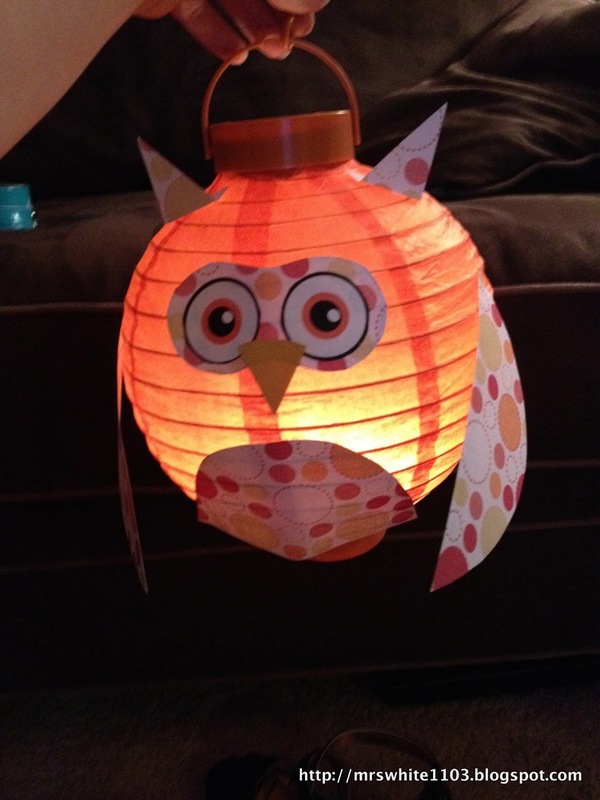 Other lamp from Target. Agenda boards and Jeff Anderson "Invitation" board. Made with wrapping paper from Target. 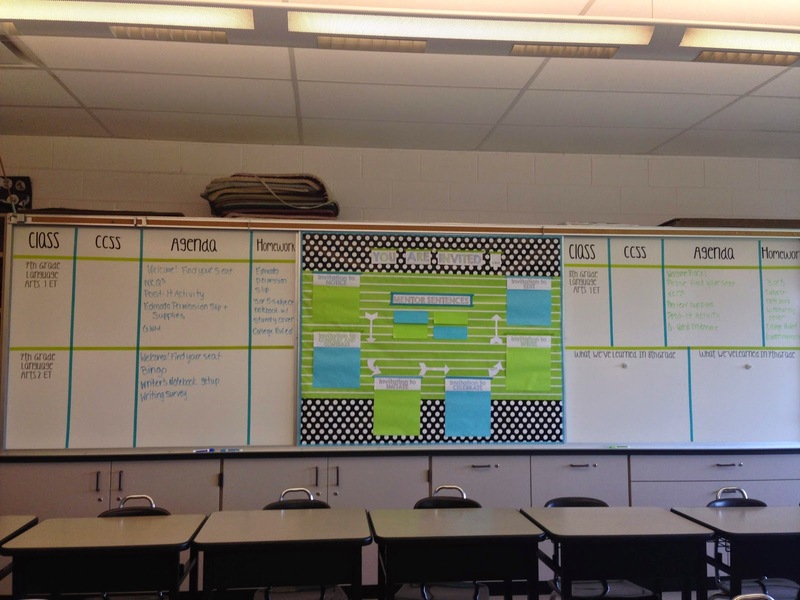 The right board at the bottom will have a running list of what we have learned during the year. 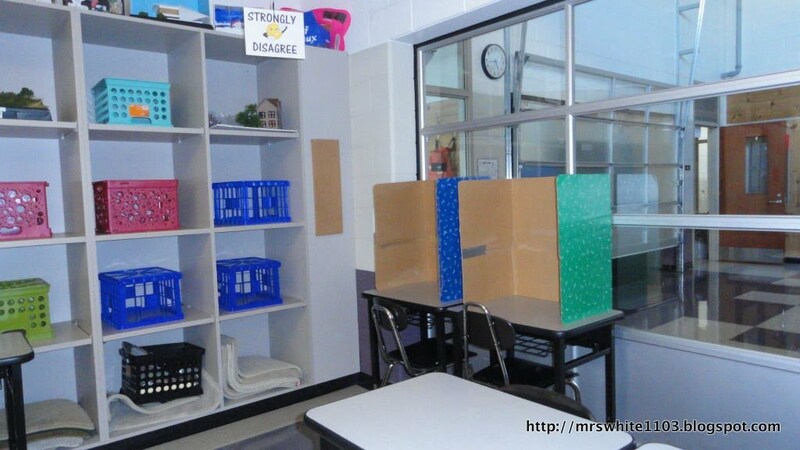 Bins, tablecloth, and file folders on wall from target. Organizer on bottom from IKEA. 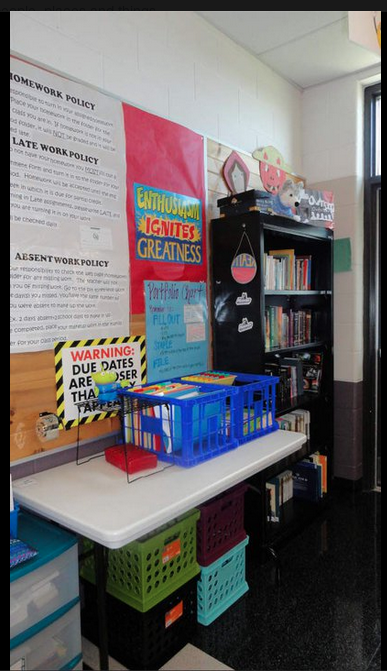 Classroom rules sign stenciled by me. Desk, chair, and stools in corner from IKEA. 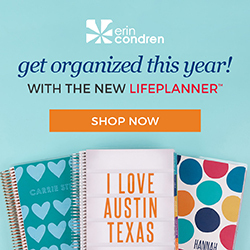 Clipboard, tray, acrylic box, and calendar from Erin Condren. Supply box from Home Depot, mod podged. Large clothespins from Michaels. Chair covered with fabric from Hobby Lobby. Easel from IKEA. Tables were props from High School Musical, painted blue. Signs made on computer and glued on to cardstock from Michaels. Large post-its from Target and Office Depot. 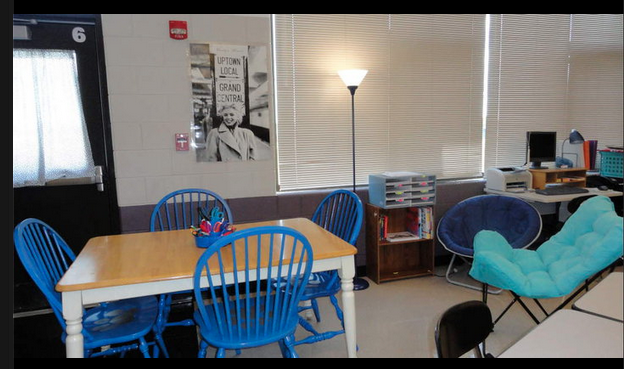 My classroom has changed into one that is more student-centered throughout the years. 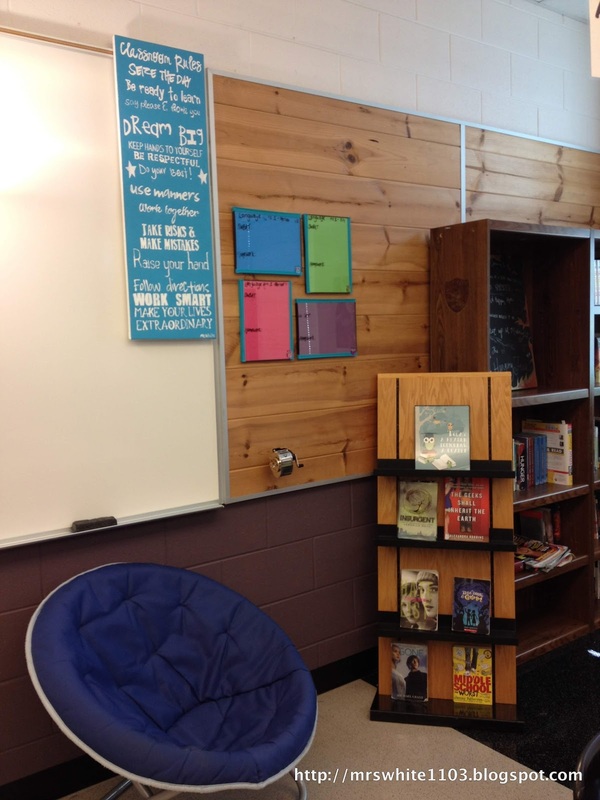 I carved out space specifically for student learning and enjoyment. 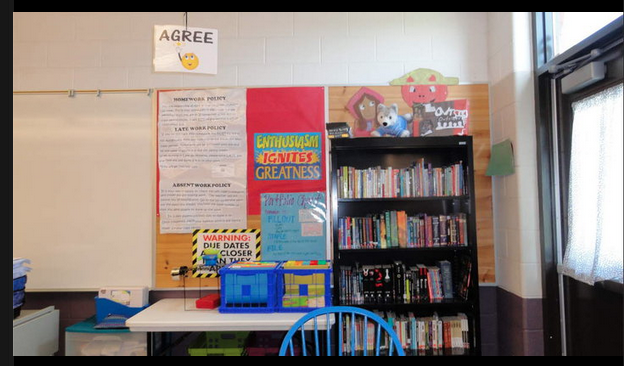 They have a dedicated space to find materials, store their own materials, browse and read books, and a clutter free space for learning and working collaboratively. 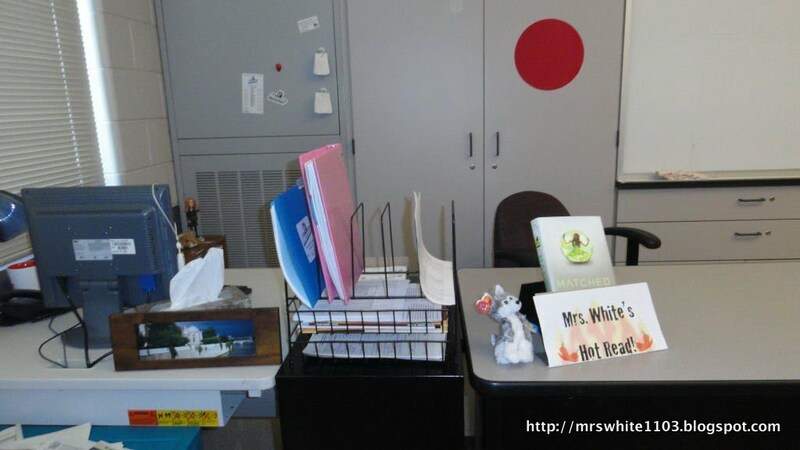 I have slowly made my teacher area smaller, and more functional so that it is primarily for working when students are not in the classroom. 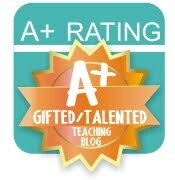 This takes the focus off of me as the teacher, and gives it to the students. 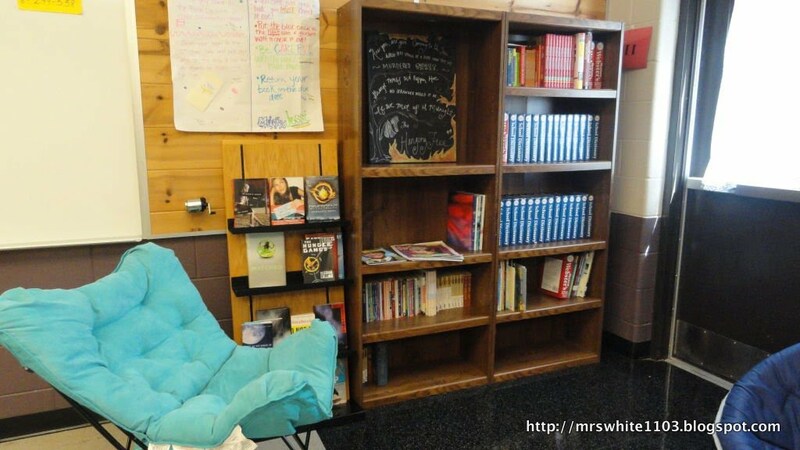 My overall goal is to make my our classroom inviting, warm, and functional. 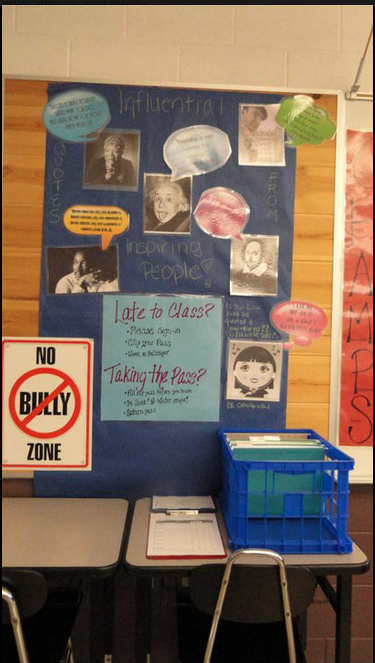 The bulletin boards are also student centered, and require input from them in order to be complete. They are also works in progress. 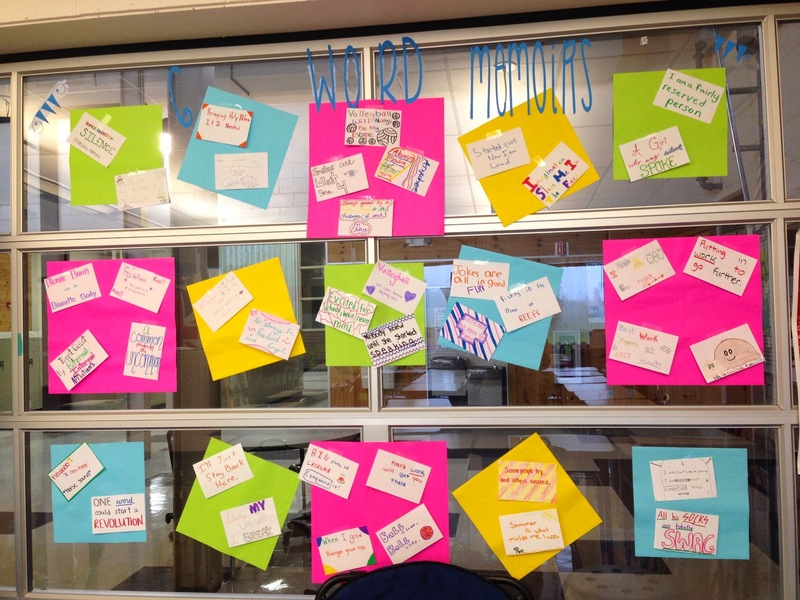 The students will change and add to them as the year goes on so that it reflects what they are currently learning. While I love decorating, I wanted it to be functional rather than strictly decorative. This has definitely been a learning experience over the past eight years, and I feel confident about where it is at now, but I'm sure it will evolve and change in the future as well. 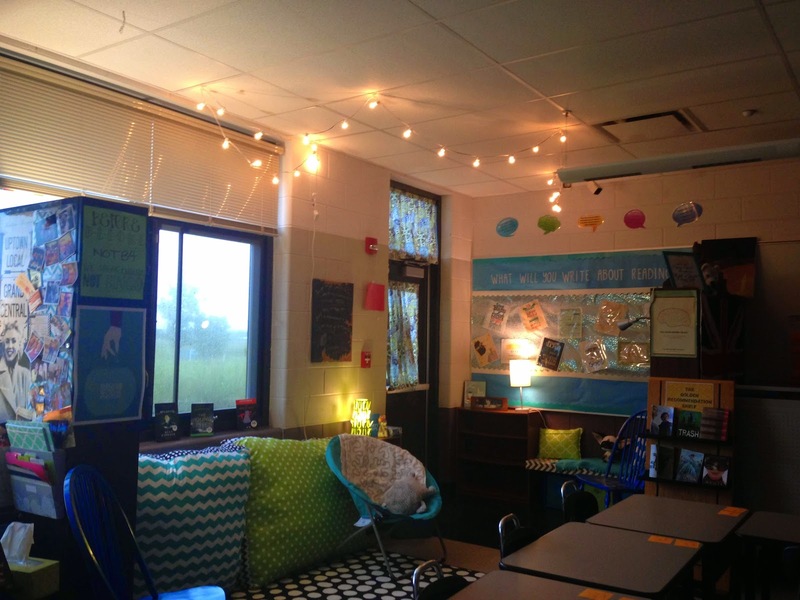 I hope you enjoyed this classroom through the years tour! Also- I took the Ice Bucket challenge. 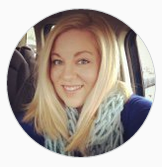 Head on over to my Facebook page to check it out and see who I nominated! I donated to Team McLaren for the 2014 TCS New York City Marathon benefiting Project ALS. It looks great! 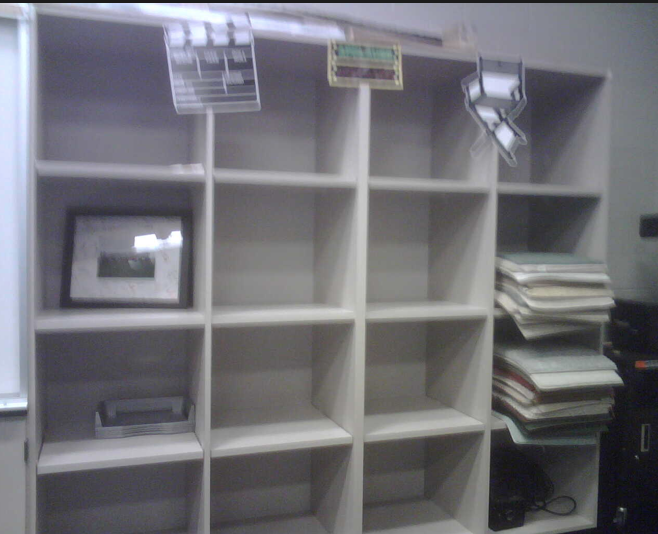 Quick question: how did you hang the black shelving on your "organize" board? Since my bulletin boards are wood, I nailed in 7-8 finishing nails to hang it! This was so much fun to read! 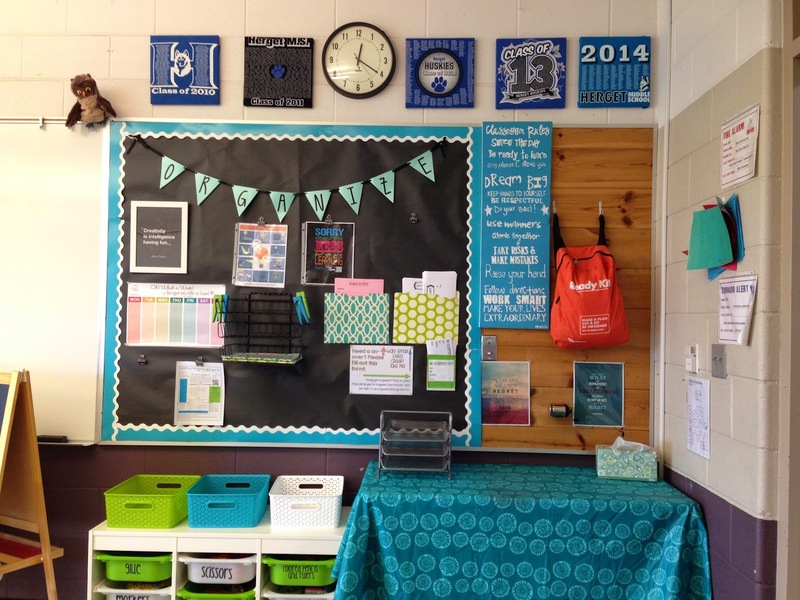 I am inspired to do this with my old classroom photos. The ice bucket challenge has taken off like wildfire on the internet; it just shows how simple it is that once something takes a hold it can be a worldwide phenomenon within weeks. I find a very good blog for the massage Dubai escorts, If you want you can visit this site.